It was another of the weekends during the fag end of my internship period and we surely could not have it gone without a visit. 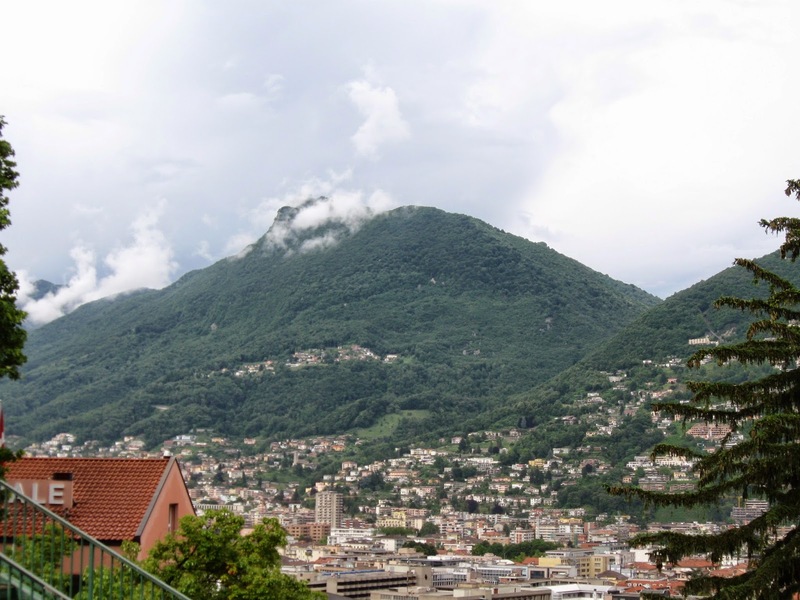 So we headed for a couple of small towns in south of Switzerland – Lugano and Luzern. Switzerland shares its southern boundary with Italy and hence the Italian impact on the culture, language and architecture is evident as one moves south. Though the natural beauty is still purely Swiss! As per the usual protocol we had established by then, we reached the beautiful town of Lugano on morning of 7nd June of 2008 by train. The city of Lugano is situated on the shore of Lake Lugano similar to how most of the Swiss cities have grown around water bodies. 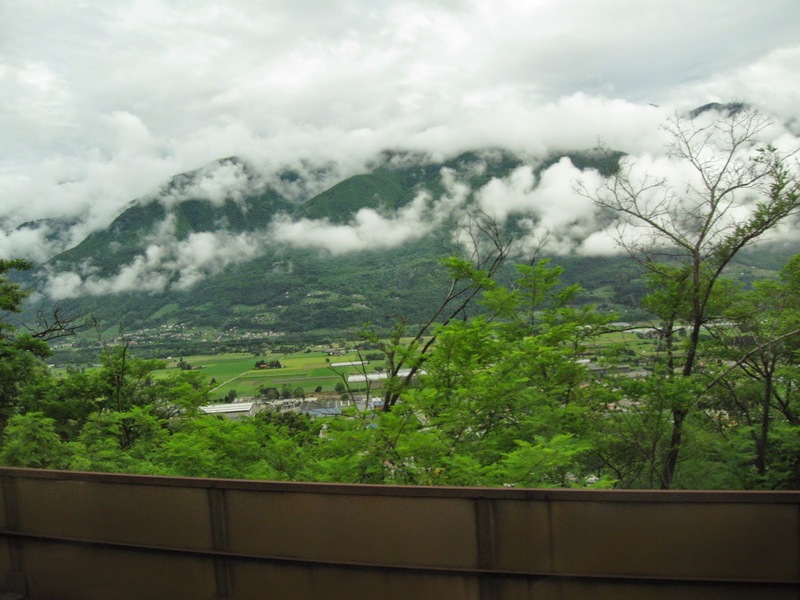 The mountains of Monte San Salvatore on the South and Monte Bre on the Northeast frontiers of the town give it a unique charm along with splendid viewpoints for the tourists. The city center is almost only 8 km away from Italian borders and the feel of affinity to Italy can be seen across every aspect of life in this town including food, language and living style of residents. In addition to this, the city is also a third largest financial center in Switzerland after Zurich and Geneva. Overall it is picturesque city with serene views and vibrant life. After absorbing the natural beauty through our train journey and after exiting the station for some time, we started on our quest of exploring the city. The town centre with its Mediterranean-style squares and arcades, and numerous parks with sub-tropical plants such as the Parco Civico on the shores of the lake invite you to laze around, enjoying the atmosphere. By the lakeside promenade are the Belvedere Gardens, where the parkland boasts not only camellias and magnolias but also countless sub-tropical plants and modern works of art. 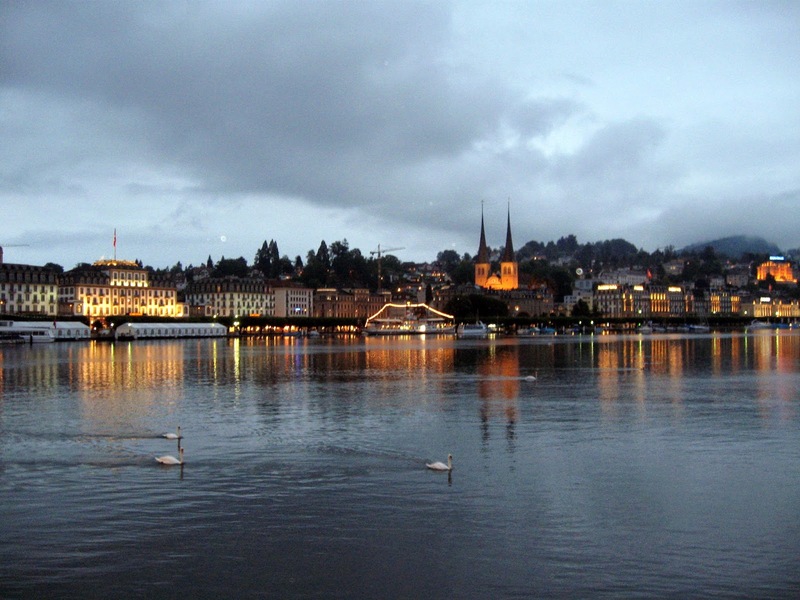 Further towards the evening, we proceeded for our next destination – Luzern. We just had two aim for this city. One being to know the area around and other was to catch onto the first match of Eurocup 2008. It was an awesome train journey between the cities and as always we were mesmerized by the beauty that the country has on offer. We reached the town by evening at about 4 and started our site seeing within the city. Luzern enjoys a privileged location at the head of beautiful Lake Luzern. The jagged mountains that surround the lake provide a dramatic backdrop to the city. Luzern is a romantic city of style, culture, and history. It is full of architectural and cultural gems waiting to be discovered. Wooden covered bridges, medieval watchtowers, baroque churches and a story book castle punctuate the landscape. Complete with gable paintings, the covered, medieval Chapel Bridge forms the centrepiece of Lucerne’s townscape and is considered to be one of the oldest, covered wooden bridges in Europe. A further landmark of the town is the Museggmauer, a wall which, with the exception only of one of its towers, has been preserved in its original, well-fortified state. We ended the day with an awesome match between Switzerland and Czech Republic which unfortunately Switzerland lost but still watching the match was absolutely fun with a great crowd around. Here is a video coverage of our day in this awesome part of Switzerland.